We know that chronic illness, escalating costs, opaque and uneven reimbursement practices, and a $ 38 Trillion unfunded Medicare obligation would eventually bring the nation to its knees. However, it suddenly felt like the confederacy of agents, brokers, and consultants were passengers on a bus with no breaks that was careening toward a cliff of profound change. And then it actually happened: health reform. Prognosis: Uncertain. Denial – Most brokers and agents objectively looked at reform as a flawed proposition as it failed to address fundamental cost drivers that were clearly contributing to unsustainable healthcare costs. Brokers were witnessing 20%+ increases for small business, a limited marketplace of insurers, huge barriers to entry for competing health plans and a supply side of providers that were up in arms over serial under reimbursement from the government and a Darwinian reimbursement environment where only the strong could survive. Our employer clients were angry with increases, predisposed to market their insurance each year to a limited field of insurers, consumed with avoiding disruption and content to cost shift to employees through higher deductibles and co-pays. It seemed no one was willing to touch the third rail of healthcare – affordability. High performance networks, promotion of primary care, an emphasis on personal accountability for health improvement and value based plan designs seemed too complex, cumbersome and indecipherable for many small, mid-sized and larger employers who felt they little capital left with employees to impose additional changes. This reticence to be early adopters of critical cost management programs and the nature of fully insured pooling by carriers for smaller employers, conditioned employers to consider health insurance a commodity. Most brokers happily moved at the speed of their reluctant clients and remained in step with their insurance partners. Instead of focusing on risk identification, and mitigation, the industry focused on risk transfer, a generation of brokers and agents built wealth but did not seem willing to risk provoking clients out of their own death spiral. An entire industry was in denial. Anger – As the Obama administration shifted its strategy from health reform to insurance reform, denial turned to anger as the industry found itself in the vortex of a poison populism. As insurers were pilloried for for-profit practices, and other third party players were painted as parasites draining the system of its sustainability, brokers felt their blood pressure rise. 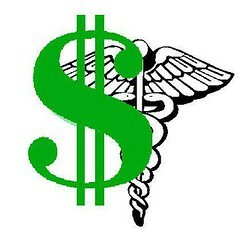 The seeming hypocrisy of underfunded Medicare obligations, deficit financing by states facing billions in debt, a generation of consumers on the slippery slope toward chronic illness, employers overwhelmed and averse to change and an opaque and increasingly inflexible oligopoly of insurers – – led brokers to feel victimized and marginalized in the debate. On the other side of the aisle, legitimate questions arose around broker value as critics witnessed commissions that rose with medical premiums and a lack of transparency on base and contingent compensation. There was difficulty in determining value for services that did not seem to bend the medical trend curve, and seeming relationships of mutual convenience between insurers and brokers that created potential for conflict of interest. When reform recently passed, brokers gazed across a horizon line of regulations and did not like what they saw. 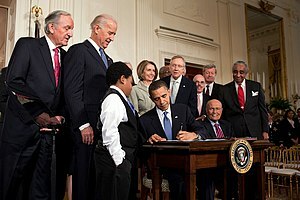 Brokers recognized legislation as the first step in addressing fundamental flaws in the system but understood clearly that the Patient Protection and Affordable Care Act was uniquely focused on access and insurance market reforms. It would not materially change the trend line impacting private employers – – in fact, it could very well make it worse in the near term. Insurers driven by demands as public companies and possessing fewer levers to pull to impact rising medical loss ratios had become less flexible and defensive. Brokers also recognized incentives in the new legislation that could accelerate the erosion of employer sponsored healthcare as costs would inevitably rise from increased adverse selection, government cost shifting, a new vouchers system allowing individual opt outs and less onerous penalties that could create tempting incentives for employers to drop coverage. Questions are now being asked: Will the minimum loss ratio calculation pressure carrier’s retentions to where they will begin to unilaterally cut commissions? Will insurance companies attempt to disintermediate us? Am I prepared to defend my remuneration in the brave new world of transparency? If I convert my larger clients to fee based remuneration will my margins be severely impacted? Will my lack of size or premium with insurers make me less relevant and more susceptible to unilateral actions? Do I possess the resources necessary to compete in a world where impacting claims costs will be more relevant than entertaining, shopping insurance and adjusting plan design options? Will state connectors attempt to supplant my role as an advisor? As costs increase in the near term from mandated plan design changes, underwriting restrictions, Medicare cuts and minimum loss ratios, will companion legislation not be far behind that establishes a state or federal rate authority to artificially control prices? Judging from the insanity in Massachusetts – a market exclusively managed by non-profit insurers, universal coverage has led to an affordability crisis and the most expensive healthcare in the US. Are we headed over this same cliff? Will a public option reemerge if we cannot reduce barriers to entry for new players to offer employers more choice? Am I going to end up living in a card board box ? Bargaining and Depression– Career professionals are already beginning to rationalize. “ We have until 2014 and many of the impacts will not be felt until 2018 and beyond. “ Others whistle in the dark, “ I just need to make it until my kids graduate college.” This period of bargaining is a mental feint to prolong change as long as one can to avoid the pain of conforming to a new normal. Some brokers may just sit down in the middle of the road resigned to a belief that if the insurers do not get them in the form of reduced compensation that employer sponsored healthcare will slowly erode and an increasingly crowded and qualified mid-sized and larger employer brokerage and consulting market will leave them little if any role to play. Some are taking these changes very personally. These brokers are becoming lightening rods in their local markets and catalysts elevating the discussion and debate about what next needs to happen to achieve access AND affordability. They have accepted the axiom that any unsustainable trend eventually ends and that it has now happened on their watch. Attention is focusing on how they can become focal points for local, regional and national change, They recognize they are not bystanders and third wheels but they are key influencers and the nexus between the supply and delivery sides of the business. They recognize that they must write the next chapter of health reform and not merely be waiting to read each subsequent installment. Their grief has been brief, their anger channeled, their bargaining and depression endured and their entire focus now is on shaping the next stages of change. Acceptance – Eleanor Roosevelt once said, “each person has a choice to either light a candle or curse the dark.” The best and brightest in the brokerage community understand that to broker is to consult and to consult effectively, one must enjoy a trusted relationship with a client. Any practice that erodes that trusted role should be avoided – especially if it is a legacy practice of an industry did not do a good job in changing our opaque and disconnected third party payer system. Transparency creates enormous opportunity to delineate value. If value is defined as “outcomes divided by cost”, the successful post reform broker will delineate their services, the outcomes they hope to achieve and the costs of the services they will provide. Historically, many commission-based clients did not always know broker remuneration, did not employ service contracts and judged a good outcome as the absence of service disruption. The world has changed. Consolidation will create odd bedfellows and strange alliances. However, in the brave new world, advisors must drive value across an entire employer organization. While insurers will be struggling to dispel the notion that they are not worthy of margins beyond those of a utility, brokers will need to convey value and if they cannot achieve the critical mass and resources required to compete, they will lose business. The pressure to create competition and choice may help lower barriers to entry in markets and create new competitors to traditional carriers. More choice for employers requires more advisors to assist them in navigating through the minefields of competing carrier practices. As companion legislation continues to evolve, the need to serve clients as a legal and compliance interpreter will be essential. Merely copying new laws and emailing complex regulatory language to customers will weed out lower performers. Clients want to know: How and when does this effect me? What should I be thinking about? Clients will require help in attacking the last frontier of healthcare – employee health and well-being. The desert of good intentions is littered with the skeletons of ineffective wellness plans that merely nudged individuals toward healthy lifestyles. True risk mitigation will require leveraging every aspect of the law to intervene to improve public health. The best and brightest will recognize that a healthy worker is less likely to file a workers compensation claim. A healthy worker will miss fewer days reducing absenteeism and costs associated with replacement workers. Population Health management will become as standard as loss control for property and workers compensation programs. It is motivating to think that by structuring a preventive care plan properly, we can detect asymptomatic illness and significantly reduce the rate of lifestyle based chronic illness. A Brand New Day: Health reform is not terminal. However, it will require everyone to change. We are entering a strange, new universe forged out of intended and unintended consequences. However reform is also a relief because it is the beginning of a process (however unsavory) to arrest an unsustainable trend. As citizens, free market capitalists and parents, we do not want to leave our children holding the bag with record deficits and massive public debt. We always knew the process of taming entitlements and changing a dysfunctional third party payer system would be messy. As most in Congress lack the political will to take on affordability, it will fall to us. Regardless of the twists and turns in these first few chapters of what will most certainly be a Dickensonian saga, there will always be a role for smart, motivated, transparent and intellectually curious brokers and consultants. The sooner each of us concludes our stages of grieving and gets on with accepting the new normal, the better chance we have to lock arms and demonstrate that we can be highly influential in a creating a better and more efficient healthcare system for tomorrow. The first omen was a door that was practically ripped from my hands as I attempted to enter Zumbachs Coffee for my noonday latte. Although midday, a sinister pall of slate gray twilight had descended over the south side of town. A plastic bag whirled in tight frenetic circles as fat rain-drops began to splatter across the hoods of parked cars. It seemed as if everything was suddenly holding its breath. After a winter of discontent, an uneventful two days of rain seemed a modest down payment towards spring. The Doppler radar on the weather channel had shown bright bands of swirling concentric green and orange driving up the eastern seaboard and circling counter clockwise from west to east. It was a classic late winter nor’easter but with forecasted wind gusts of 40mph it was hardly March roaring like a lion. It would be a fine day to make a fire, be worthless in my favorite chair and annoy my spouse. As it was the weekend, I was assigned drop-offs and pick-ups. Around 3:45pm, I shuttled my youngest son over to a sleep-over, a mere milk run mile from our home. The wind had picked up and the road was littered with the leaves, rotten sticks and broken branches pruned and tossed aside by a mysterious hand lurking somewhere west in nearby woods. I noticed a tree had fallen in my neighbors yard – its roots completed uplifted in a great, gaping circle of sod. It looked like one of those HO Scale trees that would fall over on your electrical train set when the glue finally lost its adhesive. A little further up the road, I saw another splintered white pine with its branches weighing down a power-line to within a few feet of the ground. White sparks flew from the wire. As I slowed to rubberneck – indulging both my son and my inner pyromaniac, a 20′ long branch rushed down from the heavens crashing across the hood of my soft top convertible, shattering the side mirror and careening off to the driver’s side. I slid to a stop and turned to my son asking him if he was ok. We realized that we had just missed being crushed through the canvas top. As I gathered myself, another tree fell across the road. Exhilaration and adrenaline suddenly arced into electric fear as my adventure disintegrated into the movie, “2012”. I was suddenly angry that I had not checked my Mayan calendar that morning. I would have seen that today was a dress rehearsal for the end of the world. At a minimum, I would have told the boys to wear clean underwear. And so I became a hapless protagonist in some disaster film. Would I be listed in the credits by name or merely as “Driver No 3″ – who is electrocuted into a burnt chicken about two minutes into the heart pounding disaster sequence. I hit the gas and over the next 100 yards was pelted with flying debris, horizontal rain and even thought I saw a flying cow. I kept looking for the Four Horseman of the Apocalypse but realized they were in Washington trying to get the healthcare bill passed. After getting my son safely to his destination, I spent the next 45 minutes trying to find an open road to my home. Every street was blocked. Certified Emergency Response Team volunteers, already mobilized with chain saws and yellow crime scene tape were trying to redirect determined drivers from recklessly forging through the debris and possibly into downed electrical wires. My neighbor Charlie is one of those brave souls that gets calls in the middle of the night saying, “please go stand in the middle of some dark road and help inconsiderate people get home safely – oh, and be nice. Nice towns have higher property values.” Personally, I’d rather stay in bed and be judged on my good intentions. I am sure some people actually think these emergency response volunteers are on some kind of power trip. Actually, it’s the opposite. When there is no power, they get to take a trip – to some lonely ebony intersection and wait. It’s cold, thankless and dangerous as numb skulls drive right up to within two feet of your soon to be severed legs and ask impertinently ” how do I get home?” to ” how come I was not informed that a storm might prevent me from getting home?” What do I look like a Garmin to you? I encountered more downed trees. Fences were ripped open and a barn was crushed under a massive hemlock that could no longer handle the 60-70 mph gusts. I weaved a serpentine route through north Stamford and finally arrived on my street. The wind tugged at my car door handle trying to get me to come out and play. The shag hickories and pines raged overhead like run-away locomotives. I was now leaning over my front wheel like an octogenarian on a Sunday afternoon drive. I finally rounded the final corner of my road and glided into my garage, a broken skiff barely making it to safe harbor. As I entered the mudroom, the house was flickering like the haunted mansion at Disneyland – lights were dimming and suddenly glowing brighter. The roar of the generator brought both relief and annoyance as I knew our power had failed. The generator was an expensive but important investment made over three years ago when a fierce January blizzard turned our home into a Finnish ice hotel. Pipes burst and I slowly fell out of love with every material possession I owned. I had new respect for the men of the Hudson Bay Company who lived and trapped along Canada’s great Hudson bay often enduring winters where an inch of ice would form on the “inside” of their winter log lodgings. After two additional black outs and confirmation from neighbors that our street was what long time CL&P vets referred to as ” FOLO” ( First out, last on ), I vowed to never again be given a wedgie by Mother Nature. I researched generators capable of powering my home for weeks if necessary. When I realized these generators were the size of mid-sized sedans, I settled for one that could power a modest consumption of electricity for three days. I had endured blackouts before in Southern California. Most were short lived brown outs during heat waves – perfect storms of air conditioning units being activated at precisely the same time. It was there I got my first exposure to a public utility. My father would later sarcastically explain to me that it was a “special” kind of person that chose to work for a utility. I assumed he meant those X-men and daredevils that lived to go out in storms to rage against nature – wrestling with electrical wires spitting like poison Cobras, mending broken limbs and clearing fractured thoroughfares. Welcome…push number…English…service…answered in the order…twenty minutes.” I hung up. On Sunday, I surveyed what appeared to be a series of bombs having been detonated all over town. Yet, I did not see a single Connecticut Light & Power truck. I saw the police and volunteers but no utility. 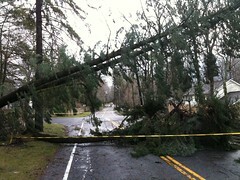 Perhaps CL&P were without power and waiting for someone else to come turn on their electricity. I did not realize it at the time but the rumor eventually got out that some middle manager at CL&P would not release the X-Men and daredevils to clear our driveways and fix our wires because the utility did not want to pay their workers extra time for working on a Sunday. Well, for the next four days we fell back a century. We played games, built roaring fires, and watched DVDs on our personal computers – just like the pilgrims. I read an entire book. We hosted a few friends who were in need of a hot meal and warm shower. It was an adventure. Driving to work the next day. I saw utility repair trucks from Massachusetts, New Hampshire, Ohio and even Quebec. I spotted a CL&P truck on the Merritt parkway exiting off exit 31 to North Street. I guess once the threat of time and a half had passed, the bureaucrat allowed all to go back to work. One of my colleagues who lives in Stamford accused me and the other “rich” people of New Canaan of redirecting all the utility manpower from Stamford. That one stumped me. ” I actually think all the CL&P guys are in Greenwich eating quiche as the bureaucrats started alphabetically, and everyone knows G comes before N and S. She was unconvinced. I thought for a moment and said, ” someone who does not want you to have electricity.” He seemed satisfied with my answer. I mean, what else could I tell him. I got your messages about healthcare reform and your concerns over the future of Medicare. Sorry I did not call you back. A gigantic tree fell on our entire town during a recent Nor’easter and our local utility, Connecticut Light and Power lost power. They kept waiting for someone to come turn on their lights. About four days into the blackout, a middle manager asked, ” isn’t that supposed to be our job?” Within 24 hours, the trucks were rolling. More about utilities and Cablevision later…. 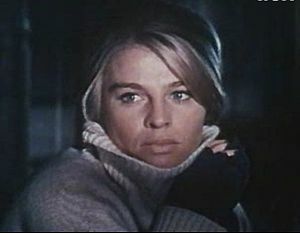 A quick answer to your most urgent question: I have read the Patient Protection and Affordable Care Act – (all 2400 double spaced pages ) and there is no “Zhivago” clause that will require you to house an entire family of illegal immigrants in the first floor of your home. I think that was a rumor started by Rush Limbaugh or someone else on Oxycontin. How could Congress pass sweeping legislation at a time when we are supposed to be entering the age of austerity? How did this happen, you ask ? Politics has trumped policy. This is more about claiming the moral and legislative high ground than it is about tough love change. Yet, don’t panic. This reform is just the beginning and it will usher in a new universe borne out of intended and unintended consequences. It may actually save some lives and eliminate some practices that have lead to massive inequity and imbalance in the system. Like it or not, reform has become the raison d’etri of this administration and Congress. We all agree the healthcare system is broken. Just ask all the men who now have glowing prostates from irradiation treatment. One day they are being told their PSA counts are high and that they should count their lucky stars that it was detected early. The next day, the test’s founder Dr Richard Ablin MD criticizes that 30 million men undergo PSA testing at a cost of $30 Billion and “the test is hardly more effective than a coin toss.” He goes on to lament, ” I’ve been trying to make clear for many years now that P.S.A. testing can’t detect prostate cancer and, more important, it can’t distinguish between the two types of prostate cancer – one highly invasive and the other unlikely to spread.” Given the risks for impotence and incontinence, just thinking about it makes me need to go to the bathroom. Now, where was I ? Oh, yes, Barak Obama actually started his 2008 Presidential campaign talking about healthcare reform not health insurer reform. He was talking policy and that captured the imagination of industry insiders who felt someone finally understood that you cannot fix the problem of covering more Americans without attacking some of the underlying cost drivers – fraud, oversupply, consumer demand, chronic disease, lack of primary care providers and cost shifting to the private sector by Medicare and Medicaid. And the waste ! Heck, my cardiologist has a toy drawer with Philippe Patek watches. And he is “in network”. Reform looked like it might have some bi-partisan legs. Yet, the Republicans wanted no part of Obamacare. It was not as if they had an actual comprehensive plan themselves. They intuitively understood that if The President’s reform actually succeeded, the GOP would probably not be back in charge of Congress until the Knicks had made it to the NBA Finals. GOP Minority leader John Boehner was heard to remark, “Damn it, if we are going to further sell our souls to the Chinese, I would prefer to do it with tax cuts.” The House Democrats preferred to mortgage our kid’s futures by launching a healthcare plan that expanded coverage but avoided the harder conversation about cutting costs. The President initially kept away from the partisan food fight, choosing instead to sit outside Congress smoking a cigarette with Michigan’s 15th district representative John Dingell who would amuse him with stories about the good old days when Dingell was a freshman legislator under US Grant. The fact that Dingell kept calling the President “Osama” did not bother him. The fact that Dingell was not wearing trousers did. On December 24th, the Senate passed a more conservative version of reform aided by flinty Republican Olympia Snowe. There were concerns from liberal Dems that the Senate bill did not go far enough. It did not include a public option, free diet soft drinks in the Senate kitchen, or a cosmetic surgery tax that would generate an estimated $ 50B but could cause California to lose it buoyancy and sink into the ocean. Somewhere along the way, an ex-male model Republican named Scott Brown got elected Senator in Massachusetts replacing recently deceased Ted Kennedy (Ted did not look very good in swim trunks and in fact, learned to swim much later in life). With the new GOP underwear model, the Senate Democrats lost their precious 60th vote that had given them a super majority capable of defeating any GOP filibuster attempts. Healthcare and other grand legislative ambitions were suddenly on life support. The White House quickly abandoned health policy for health politics. An angry populism was swelling among overweight and jobless Americans and it needed a flint and steel to ignite. The steel would be the obscenity of 45M uninsured in America. The flint must be a universally loathed symbol of bold-faced greed and social indifference. No, we are no talking about AIG. We are talking about – the health insurance companies. The troika of President, Pelosi and Reid proceeded to tear a page from the Lenin and Trotsky polemics playbook. In a brilliant audible, the President understood that to unify a people, you must create a common enemy. Over a period of months and with the help of his brass knuckled Windy City capo, Rahm Emanuel, the President launched an amazingly effective push to galvanize Congress and the American people around tackling healthcare in two phases. The first phase would be expanding access to all Americans and convincing them that we could pay for it with a series of stakeholder taxes and financial cuts that would not impact seniors, consumers, or increase the overall public debt. At one point, he even promised free Cialis to anyone who was experiencing impotence induced fiscal anxiety. Phase one would seek to curtail the nasty practices of those greedy, soulless insurers. Many of those who agreed with the President ironically owned health insurer stocks in their retirement portfolios but were angry at the poor returns. The goal would be to punish insurers making them less profitable and turning them into happy, hamstrung utilities – just like Connecticut Light & Power. The strategy would require forcing the House democrats to accept the Senate version of health reform passed as of December 24th, Dems could then pass a second bill that would give the House Democrats a chance at reincorporating certain elements of their original legislation. Ultra liberal and blue dog democrats were wary. After all, it was a mid-term election year. They were not sure they could walk the plank for the party, risking their own reelection for the sake of voting against the wishes of the voters back home. Meanwhile the GOP grumbled in the corner about “clean sheets of paper” and “starting over”. The GOP tendered a late proposal to cover 3M out of 45M uninsured. This number just happened to coincide with the number of uninsured Republicans. Sarah Palin even started a rumor that global warming was being caused by excessive methane release from overweight Americans. She suggested a “gas tax” that would charge $100 for every pound a person is over their senior year of high school weight. The President needed to start “persuading” swing voters in the House. He knew the original House legislation passed with only a five vote margin. No one was sure how many of those Democratic “no” votes were genuine or whether a few blue dogs were given permission by the Democratic caucus to vote “ no” to manage the optics that they were standing up to the party. Would they take a bullet for the team ? There were too many eyes on the legislation to pay people off in Louisiana and Nebraska pork. So, how did so many arms get twisted to push the ball into the red end zone ? I have my own theory. Take my own representative, freshman blue dog Jim Himes representing Connecticut’s 4th district. Jim voted “yes” for the House health reform package claiming that perfection was the enemy of progress. He registered some concerns about the absence of cost containment provisions. But I think the pressure got to him. Put yourself in his shoes. You’re new and don’t know anyone. It’s like a big dinner party where everyone knows everyone else. Suddenly the days where you were the master of the universe playing paddle at Stanwich Country Club seem a lifetime away. It started when Nancy Pelosi started staring at Jim in session. As a freshman senator, he did not know that Ms Pelosi had not actually blinked in 12 years due to excessive botox treatments. This unnerved him. Harry Reid called Jim to encourage him to do “the right thing.” The fact that Reid thought Himes was the Senator from Connecticut and kept calling him Chris is another matter. However, one chilly afternoon, Jim felt four cold fingers on his shoulder as Rahm took him under his wing and invited him for a beer at the White House. It was here that the President assured him that he understood that as a blue dog, Jim’s constituents needed to see costs brought under control. The House ratified the Senate bill and then immediately passed the sidecar bill which amended the Senate version. The Senate used Budget Reconciliation to pass the House version and voila!, you’ve got the Patient Protection and Affordable Care Act. The President will sign the companion House bill this week. Nancy will be grinning. Joe Biden will probably say the ” f” word again and alot of legislators will be grinning in the Rose Garden, including Mr Himes Goes to Washington. The least our Freshman legislator could have done was to hold out a little longer like Mary Landreaux or Ben Nelson and get a few goodies for his vote. I mean a “yea” vote ought to be worth getting Connecticut some money to offset our $ 3.2B budget deficit that will only grow with expanded Medicaid obligations. Perhaps we could get a few more cell towers, bigger public beaches, rerouted La Guardia air traffic or vouchers for purchasing electricity from out of state utilities. And Holy George Hamilton, Jim, repeal the tanning bed tax! Dad, sorry to be so flip about something so important. It is just hard to take Congress or the Vatican serious these days. More shall be revealed. This reform pie is basically baked and I leave it to you to determine whether you find it palatable. I know you are worried about $500B in Medicare cuts. If we are not careful Medicare will become like a Diner’s Club card with few establishments willing to accept it. Stay tuned. My guess this is just the first two hours in an epic mini-series where America has to learn a tough lesson about the difference between expanding coverage and lowering costs. I will keep you posted. But remember, if anyone knocks on your front door claiming that native Californians now have imminent domain over your property, call the police. It’s not part of health reform.